Lock in a great price for Hotel Marolda – rated 9 by recent guests! The owners were wonderful and very helpful. They make you feel welcome. The place was exceptionally clean. Although not on the beach it was very close. We would stay here again! Liked everything. Room was big and clean, lots of towels. A\C worked perfectly, TV with lots of channels. Breakfast rich, variety of food and beverages. Staff really pleasant and helpful. Even English is not their stronger side, they made sure every information is on paper. Also got the map of the area. Parking space was a big plus for me. Centro storico is really near, nice walk of 15 minutes, but there are buses if you don't want to walk, or parking lots near the city center. This hotel will be first on my list when I decide to return to Sirmione. Close to the old city center (3 min.) Friendly staff and very clean. We had a 5 nights stay and there is nothing to complain. 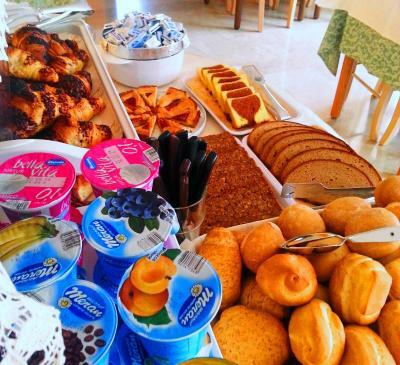 Breakfast is good, everything that you need from an everyday breakfast. 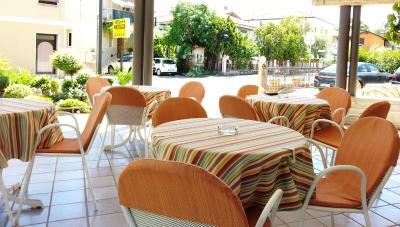 The property conveniently located between old historical city and city centre, few steps from lake. The hotel is cosy, nice and clean. Great value for money. Excellent location. The owners are really helpfull. Would reccomend to everyone. This hotel is about people. The owners - Paola and Paolo - are amazing and welcoming people. As for the hotel, well, it's clean, nice enough. Breakfast was ok, parking, territory, everything was excellent. Our intent to spend active time was perfectly fulfilled. For this purpose, the hotel is well located. Friendly and helpful staff. Everywhere clean. Free on-site parking. Well-functioning WiFi. 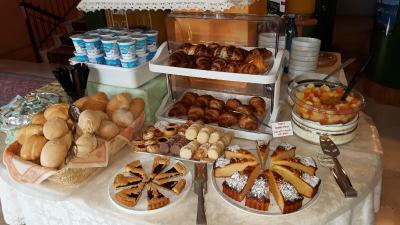 Excellent breakfast, in the case of sunny weather on the terrace. We had our bike. The hotel has covered bike parking. Hotel Marolda This rating is a reflection of how the property compares to the industry standard when it comes to price, facilities and services available. It's based on a self-evaluation by the property. Use this rating to help choose your stay! 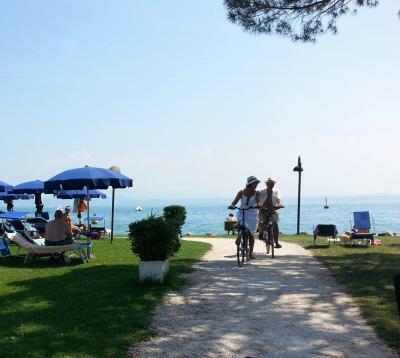 One of our top picks in Sirmione.Set in Sirmione, 50 feet from Lake Garda and the beach, Hotel Marolda features a small garden and a terrace, offering panoramic views. The rooms are air-conditioned and come with a balcony. 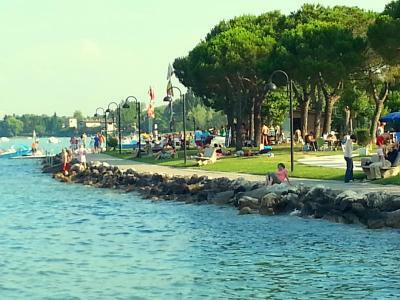 From the Marolda you can easily reach Sirmione's historic center by a pleasant walk along the lakeshore. You have good bus links and Gardaland theme park is just 20 minutes' drive away. 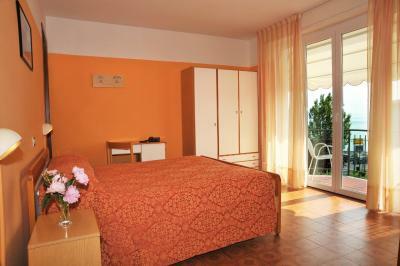 The pretty and simply furnished rooms all feature a fridge, safe and a flat-screen TV. Free Wi-Fi is available throughout the property. 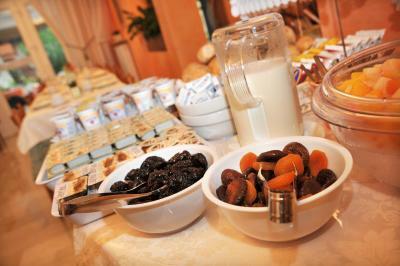 Your day at the Marolda Hotel begins with a large buffet breakfast. Guests also have free parking. You can enjoy water sports at the beach nearby. 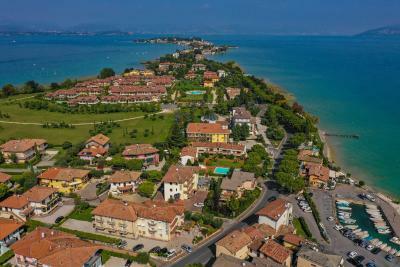 Colombare di Sirmione is a great choice for travelers interested in sightseeing, walking and lakes. 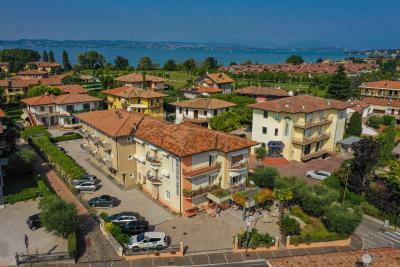 This property is also rated for the best value in Sirmione! Guests are getting more for their money when compared to other properties in this city. 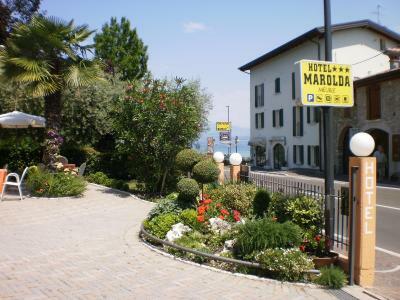 When would you like to stay at Hotel Marolda? This compact air-conditioned room with balcony features free Wi-Fi. 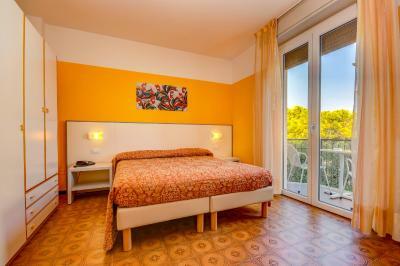 This air-conditioned room features a balcony, tiled / marble floor and free Wi-Fi. Offering free WiFi, this air-conditioned room features a balcony. 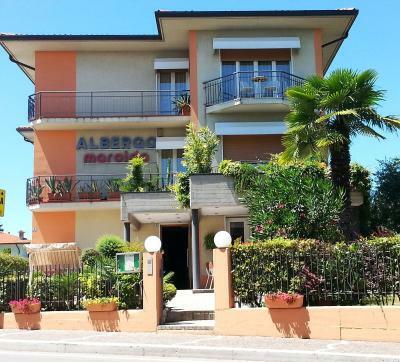 Hotel surroundings – This neighborhood is a great choice for travelers interested in sightseeing, walking and lakes – Check location Excellent location – show map Guests loved walking around the neighborhood! House Rules Hotel Marolda takes special requests – add in the next step! ATM card Hotel Marolda accepts these cards and reserves the right to temporarily hold an amount prior to arrival. Hotel Marolda accepts these cards and reserves the right to temporarily hold an amount prior to arrival. Please note that the closest bus stop to the hotel is an optional bus stop. If you arrive by bus, please ask your bus driver to stop at the "Cimitero di Colombare" bus stop. Keep in mind that it's situated on the main street (even road) of a really narrow peninsula: cars and motorcycles are well heard. Nothing in particular. Road outside can be a little busy at times but rooms are not noisy. Beds might be too hard for some people's taste. Hotel is very lovely, it feels like being at home. Location is great, near the beach, owners are very friendly. Rooms are simple and clean. Breakfast is very tasty. Big bonus is free parking at the hotel site. We missed hot food like scrumbled eggs, fried eggs ect. at breakfast. 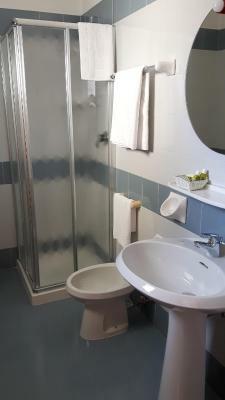 Friendly staff, comfortable beds, good airconditioning, location, parking. 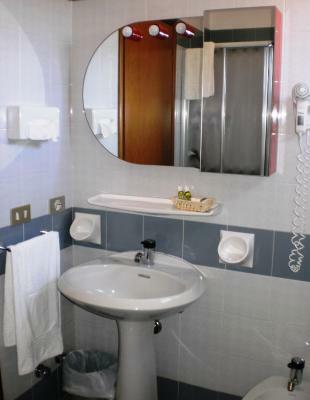 This was our second stay at the Hotel Marolda, we decided to return here as we knew everything would be perfectly clean and the staff were very friendly and welcoming. 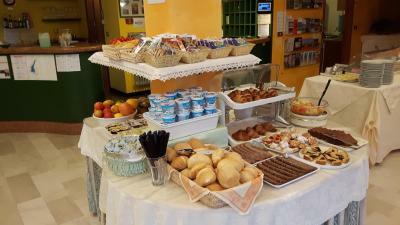 The hotel is not luxury but it is spotlessly clean, comfortable and more personal than staying in a large hotel. 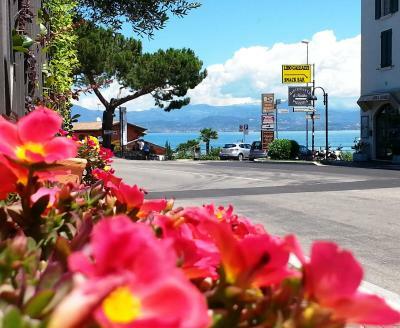 The location is ideal for Sirmione, it's about a 20 minute walk into the old town (you can get a bus just outside the hotel for one euro), and the area around the hotel still has plenty of bars and restaurants to enjoy. It's just two minutes from the lake front, where there's pedalos, paddle boards and boats to hire. The rooms are functional but nicely done out, with the advantages of having balconies and fridges which is great for the price. 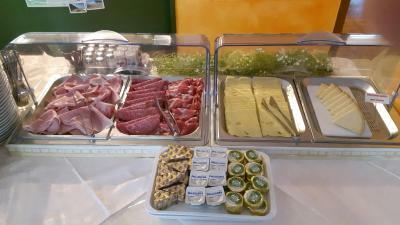 The breakfast at the hotel was great, a good selection of cereals, yoghurts, fruits, cakes, breads, aswell as meand cheeses, and not just plastic cheeses, they were local ones. The owners really make the hotel, as they are always smiling and helpful even with limited English. They even offer a small bar, which is nice to have a cold drink at the end of the day. Extremely systematic in the way the hotel is managed, resulting in consistent hygiene, quality, etc. The owners were very friendly and were willing to help with anything that we wanted. Their client base was mainly Germans as they can drive to the Hotel in 3 to 4 hours but as I had taken the steps to learn some Italian and the owners were able to use their basic English we had fun communicating. There is nothing I would say was wrong or needs to be changed.